A longer version of Patagonia's original fun hogs, the Baggies™ Longs are made from durable, quick-drying SUPPLEX® 100% nylon (92% recycled) with a DWR (durable water repellent) finish. They're a Patagonia classic with a decidedly casual fit. 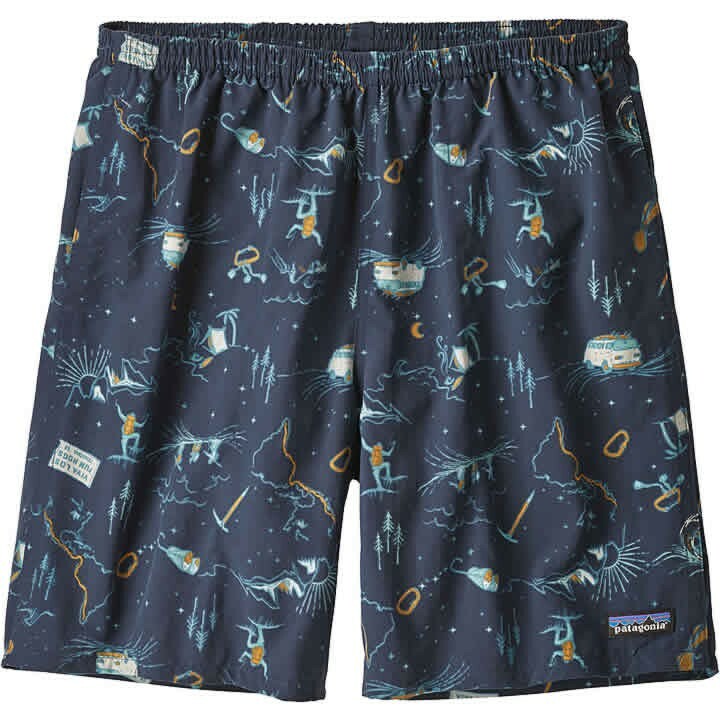 Details include an elasticized waistband with internal drawstring, polyester mesh lining, rear snap pocket and front pockets (with self-draining mesh corners) positioned to reduce drag in the water. Inseam is 7". Fair Trade Certified™ sewn, which means the people who made them earned a premium for their labor.